A railway will affect the income and existence of the reindeer herding communities in the entire area from Rovaniemi in Finland to Kirkenes in Norway. «I can clearly state that there is no way for a railway from Rovaniemi to Kirkenes to be built without harming Sámi culture, traditional Sámi reindeer herding and fishing,» says President of the Saami Council, Åsa Larsson Blind, to the Barents Observer. The Saami Council is a non-governmental organization promoting Sámi rights and interests. The council has Sámi member groups in Finland, Norway, Russia and Sweden. In a statement, the council says no matter what route options are chosen, either on the eastern or western side of Lake Inari, such railway would cut trough important reindeer pastures and migration patterns. Åsa Larsson Blind says the reindeer herding districts working in the area of the planned route on both the Finnish and Norwegian side of the border clearly oppose the plans. «On the basis of their position, I do not see that the railway could be built,» Larsson Blind says. 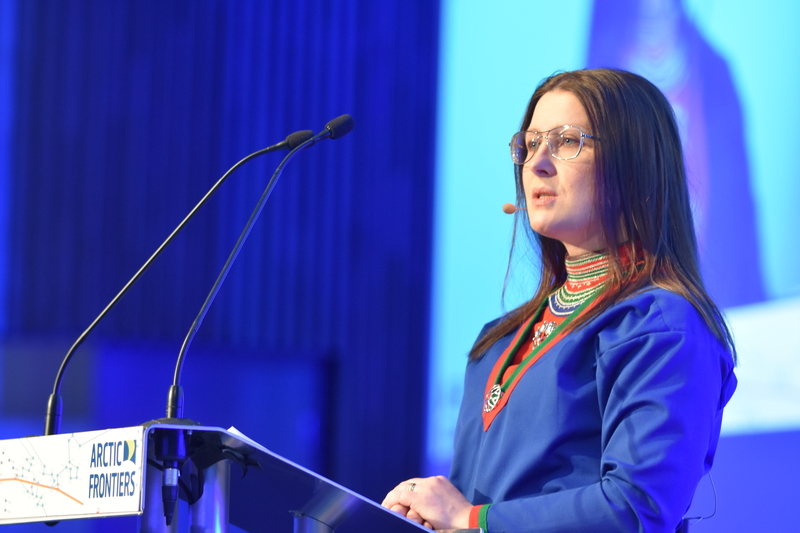 The Saami Council President argues that international law gives the Sámi people the right to consultation and to consultations conducted in good faith in order to fulfill the right to free, prior and informed consent. With the aim of linking European and Asian trade routes via the Arctic Ocean, the Finnish and Norwegian Ministries of Transport have decided that a railway route from Rovaniemi to Kirkenes is the most realistic routing. A bilateral task force group is now working on a study. «This is a vision which we are strongly committed to and that we do want to explore,» Berner said. Åsa Larsson Blind believes an Arctic railway could be a door opener for other industries posing additional troubles for reindeer herders and other natural-based industries core to Sámi culture. The Saami Council statement, made after a dialogue meeting in Inari last week with the reindeer herding districts, says preservation of reindeer husbandry, traditional land use and traditional Sámi land is the foundation for the survival of Sámi language and culture. If built, the railway from Rovaniemi to Kirkenes will be about 500 kilometers, of which the main part will be on the Finnish side of the border. If a route east of Lake Inari is chosen, the railway will have to cross by the Øvre Pasvik National Park, a protected taiga forest area international conservation groups now argue should be expanded because of its biodiversity in times of climate changes. The Saami Council requests the Ministers to carry out consultations with relevant Sámi rights holders and The Sámi Parliaments of Finland and Norway in order to ensure that the Sámi rights and needs are protected at an early stage before decisions are to be made. It is important that the responsible authorities carry out consultations in good faith in order to fulfil the rights of the Sami to free, prior, and informed consent. Åsa Larsson Blind does not think a railway will bring good for tourism in the north. «For those beliving that this railway would be positive for the tourism industry, they should think once or twice about the great inpacts this Railway would inflict on the nature and environment,» she says. In the video-story below, the Barents Observer interviewed President of the Finnish Sámi Parliament, Tiina Sanila-Aikio, about her concerns for a possible Arctic railway.